Okay, so you know that I haven’t exactly been secretive about my huge support for Yeti coolers. My Yeti totally changed my life, as it single handedly improved my camping and outdoor adventure activities by about five thousand country miles. Still, I think it would be simplistic to say that Yeti is the only cooler worth purchasing. A lot of my friends have a bias against Yeti, mostly due to the comparably high cost, and have chosen other coolers that I think are pretty great alternatives to a Yeti cooler. Although I could not be happier with my Yeti, and wouldn’t trade it in for the world, there are definitely a few brands of coolers that give Yeti a run for their money. In this article I’ll examine a few of them. 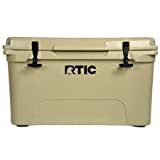 RTIC proudly boasts the fact that their coolers are of an equal quality to Yeti, that they hold even more ice, and more than anything– that their coolers are generally about half the price of a Yeti. It is true that the RTIC cooler also provided very high quality rotomolded coolers, and more. They claim that their approach to the technology, marketing costs, and general business model allows them to provide a cooler that is totally comparable to the Yeti, but as I mentioned, the price is drastically cheaper. I have a few friends with RTIC coolers– I agree that their cooler is pretty good, but they sure have an arrogant attitude about the whole deal. In general, I find that my biggest problem with RTIC is their business ethics and perspective; I find the whole thing pretty obnoxious. Their cooler looks almost identical to the Yeti, except they have removed Yeti’s logo and, basically, superimposed their own onto the cooler. Their entire marketing strategy seems to be based on devaluing Yeti; I understand that competition is healthy, but RTIC is actually bringing nothing new to the table, and I see a lot of moral ambiguity in the way that they run their operations… To be honest, I’m simply not sure that I trust them, and I’m not the only one. They have even been sued by Yeti for the remarkable similarities between the products. If you don’t care about these ethical issues, which is totally up to you, but you desire a high-end cooler, an RTIC may be what you are looking for. Grizzy also offers a less expensive alternative to Yeti, but the price difference is not as drastic as the different between RTIC, and generally you will only be paying about an extra $100 for a Yeti. 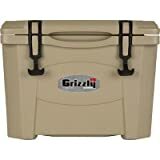 Grizzly Coolers are all made in the USA, whereas Yeti manufactures their products in the USA as well as the Philippines. They are both constructed with rotomolding technology, and they are both certified to be bear proof. Yeti offers five-year warranty, whereas Grizzly offers a lifetime warranty, which gives them a slight edge. As far as I can tell, the ice retention is quite similar, but Yeti has a very slight edge. To be honest, I have always admired the Grizzly coolers that my friends use. At the end of the day, this is a pretty close call. I think it comes down to which aesthetic you prefer. 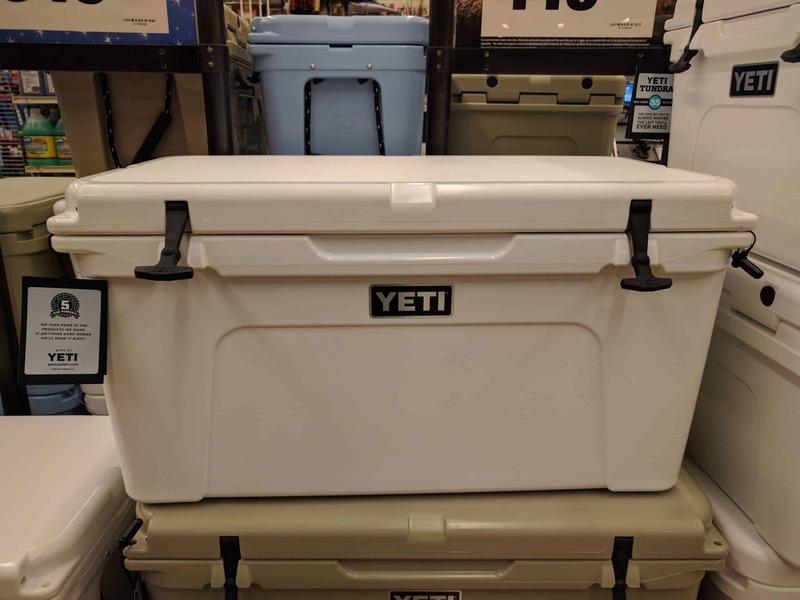 I prefer the look of the Yeti, and I have also read that it holds ice for about one more day than the Grizzly, which could be very useful, depending on what type of activities you plan on using the cooler for. Keeps food and drinks cold and doubles as a dry box - keeping out moisture and/or dust from your valuable electronics, emergency kits and cameras. Features a unique airtight EVA gasket around the lid - for excellent ice retention and a water proof seal. Features a recessed central carry handle in the lid & integrated adjustable shoulder strap. Also includes a removable hanging tray - for storing dry goods. Engel is maybe the healthiest competition for Yeti. Again, both coolers share the most common attributes of the modern high-end cooler. They are both totally bear-proof, and they have both been made using rotomolded plastic. Comparable models of the Yeti cooler and the Engel cooler, generally, hold ice for about the same duration– with a slight advantage to the Yeti. The Engel, however, is more spatially efficient, and can hold significantly more ice in the same general size of model. Again, I prefer the design of the Yeti cooler. It uses simplicity in a way that is very slick and modern. 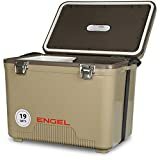 When I see an Engel cooler, I generally think that the big red and blue logo on the front is a little bit goofy looking. Again, they are very comparable. The Engel holds ice better, and the Yeti retains ice better. The Yeti’s 5-year warranty is also impressive, while the Engel’s 3-year warranty leaves a bit to be desired. Right now, their coolers are priced about the same, but Yeti has a slightly more prestigious and respected reputation. To counter this, Engel offers a slightly lower price. Canyon Coolers are kind of like a new kid on the block. Put simply, they are pretty great, and if I were to buy a cooler than was not a Yeti, it would probably be a canyon. Canyon coolers are have been made down in Arizona since their inception, and they are absolutely amazing at holding ice. A Yeti cooler usually retains its ice for an average of about 5 days; a Canyon cooler has been known to hold ice for 7-8. In my opinion a Canyon cooler absolutely offers the best value for your dollar. Canyon offers great prices for very high quality coolers. With most of their coolers, Canyon provides a lifetime warranty, which is significantly more than Yeti’s 5-year warranty. 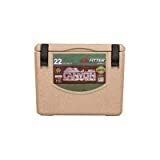 The price of a Canyon to its comparable shape and model of Yeti is often several hundred dollars cheaper, and this is not something to be taken lightly. I know a lot of folks who are happy with their Canyon cooler, and I can’t blame them. Yes, Yeti is definitely not alone in the world of high-end coolers. Maybe I am irrationally firm in my bias, but I have done extensive research and had a lot of conversations with folks about their coolers. I think that the Yeti offers a lot of bang for the buck, even compared to the cheaper alternatives like Canyon. There is something about choosing the industry leader that brings a sort of calm and peace of mind. 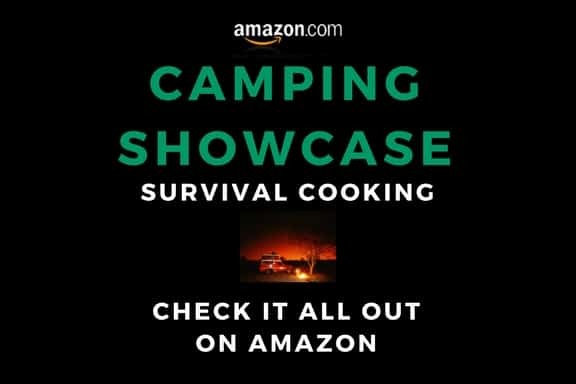 If you are concerned about price, there may be a better option (like the Canyon), but if you are content to make more of an investment in your outdoor supplies, I would still recommend most Yeti models over their comparables. Engel was the company that invented rotomolded coolers, so if anybody is getting copied its them. So to say that Yeti has a more prestigious name name, i think what needs to be said is that they have a better marketing dept. and consumer appeal.